Can I move my licenses to other sites? / FAQ / FAQs / Can I move my licenses to other sites? 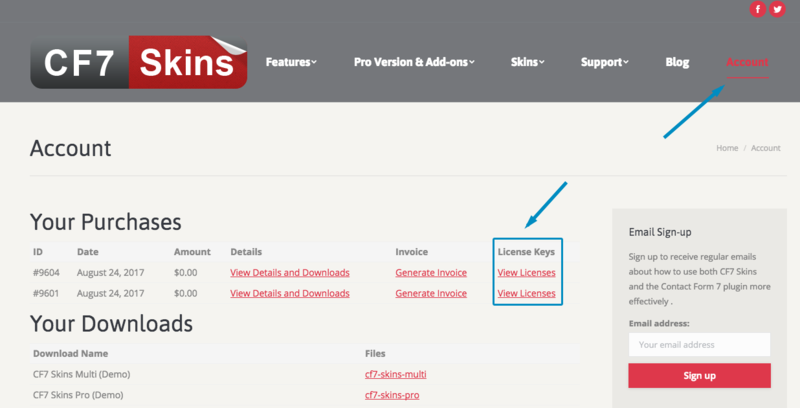 If you are a current CF7 Skins customer, you can move your license to any other site you own at any time. 1. Log in to cf7skins.com and go to your Account. 2. Under Your Purchases click the View Licenses link for the license you wish to move. 4. At the bottom right of your URLs, click the Add Site button to add your new site URL. You can also deactivate an existing install to free up a slot for a another site. For example, you can deactivate an install on http://youroldsite.com and reactivate it on http://yournewsite.com. 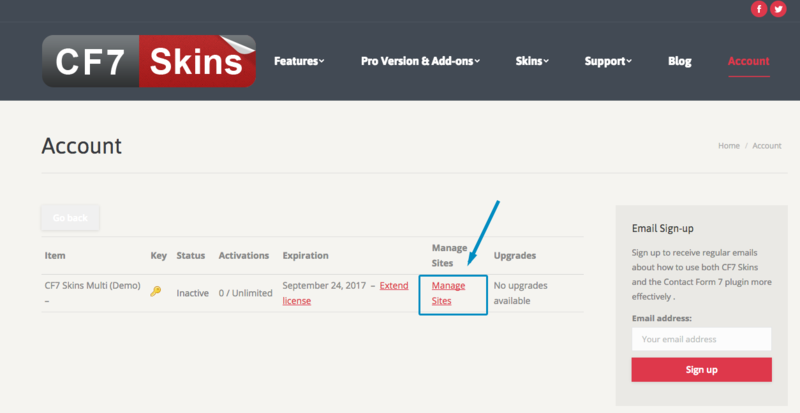 Tip: If you move your site after you activate your license, you will need to change the site location in your Account to receive update notifications.